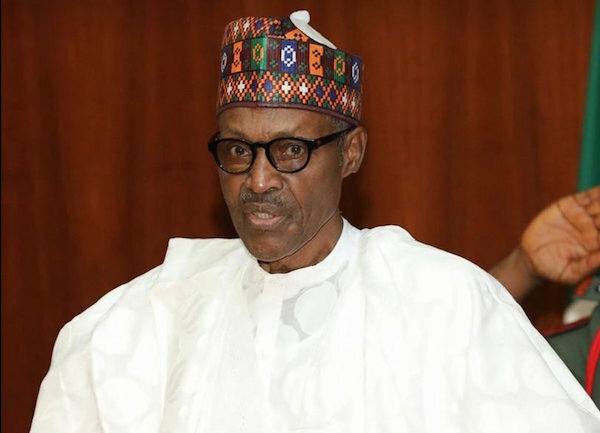 President Muhammadu Buhari is yet to clear the air about grievous allegations of abuse of contract process to the tune of N9 trillion naira at the Nigerian National Petroleum Corporation, more than 24 hours after leakage of an internal memo which detailed the allegation. Presidential spokespersons, Femi Adesina and Garba Shehu, did not pick or return calls, or respond to text messages on the matter despite concerns expressed by Nigerians and activists. The Minister of State for Petroleum Resources, Ibe Kachikwu, detailed the questionable deals when he alerted the president to the activities of the Group Managing Director of NNPC, Maikanti Baru. In the August 30 correspondence, Mr. Kachikwu said Mr. Baru circumvented extant procurement regulations in awarding a series of contracts up to $25 billion —or N9 trillion at prevailing exchange rate of N360 to a dollar— warning of grave consequences the decisions could wreak if allowed to stand. The letter appeared on the Internet around noon Tuesday, but no one has claimed credits for its leakage. Mr. Kachikwu gave a breakdown of the contracts said to have been awarded without recourse to the Ministry of Petroleum or the management board of the NNPC; including $10 billion crude term contracts; $5 billion direct sales direct purchase (DSDP) contracts and $3 billion AKK pipeline contract. He also said a $3 billion was awarded as a contract for various financing allocation funding contract and another $3-4 billion NPDC production service contracts. The crude term is the annual contract which the Nigerian government enters with firms willing to do lift crude oil in the country through competitive bidding. About 39 companies won the contract for the 2017-2018 bids, out of 224 bids submitted, according to the NNPC. The winners included 18 Nigerian companies, 11 international traders, five foreign refineries, three national oil companies (NOCs) and two NNPC subsidiaries. All the contracts are for 32,000 barrels per day except Duke Oil Ltd, an oil trading arm of the NNPC, which secured 90,000 barrels per day. The Senate on Wednesday, however, resolved to investigate the allocation to Duke Oil, after a senator alleged it was fraudulently done. The AKK contract pipelines contract was awarded by Mr. Baru for the installation of the new Ajaokuta-Kaduna-Kano gas pipelines. Estimates for the contract ranged from $2.3-2.7 billion. The NNPC announced in May that a Chinese firm won the contract to complete 80 per cent of the project on public-private partnership basis. Mr. Baru was also reported to have confirmed receipt of $250 million from Chinese banks for the take-off of the project. Some Nigerian senators raised concerns about the contract shortly after it was awarded, but the Senate resolved not to take action until there is enough evidence of wrongdoing. The Direct-Sale–Direct-Purchase was adopted by the Buhari administration last year to replace the crude oil swap initiative and the offshore processing arrangement. The policy, which was designed by Mr. Kachikwu when he was still the GMD of NNPC, was aimed at entrenching transparency in the crude oil for product transaction by the NNPC. Under the crude oil swap initiative, crude oil was exchanged for petroleum products through third-party traders at a pre-determined yield pattern. Mr. Kachikwu said the DSDP option eliminates all the cost elements of middlemen and gives the NNPC the latitude to take control of sale and purchase of the crude oil transaction with its partners. The Nigerian Petroleum Development Company is a subsidiary of the NNPC that majors in the production of crude oil. The firm is responsible for the control of oil wells owned and managed by the NNPC. The production service contracts are contracts awarded for production of crude oil from oil fields run by the NPDC. The NPDC, due to its operational and capacity deficiencies, regularly enters production contracts with other oil companies — especially oil majors like Agip and Shell— to lift crude based on quantities determined in their contract. The minister said Mr. Baru shunned procedural requirements which stipulated that any contract award over $20 million must be reviewed and approved by the NNPC board to be valid. Other than the claims of questionable business decisions of Mr. Baru, Mr. Kachikwu also informed Mr. Buhari that he suffered “disrespectful and humiliating conducts” from the NNPC GMD. The NNPC is an agency under the Ministry of Petroleum Resources, where Mr. Kachikwu serves as minister of state. President Buhari kept the substantive Minister of Petroleum Resources post to himself. Ndu Ughamadu, a spokesperson for the NNPC, declined comments on behalf of Mr. Baru throughout Tuesday and Wednesday. Mr. Ughamadu, NNPC’s head of media, told PREMIUM TIMES Tuesday that the letter was not meant for public consumption. “It was a private communication between party A and party B,” Mr. Ughamadu told PREMIUM TIMES by telephone Tuesday afternoon. “I don’t think it’s proper for us to comment on that. Mr. Kachikwu said he wrote the memo after concerted efforts to have a one-on-one appointment with the president at the State House fell through. The minister later confirmed authorship of the letter in a Tuesday night statement but said he was distressed by its leakage. Mr. Kachikwu said the allegations writ large on Mr. Buhari’s avowed intolerance of corrupt practices and abuse of process in public service. But neither the president nor his media team has commented on the controversy, thereby leaving the public in the dark, especially as to whether any action had been taken since Mr. Kachikwu’s letter was sent on August 30. The president remained mum, whereas the Senate has taken immediate steps to unravel the controversy, raising an ad-hoc panel to investigate all the elements alleged sharp practices contained in Mr. Kachikwu’s letter. The nine-member committee is headed by Aliyu Wamakko, an APC senator from Sokoto State. Mr. Kachikwu previously doubled as the Minister of State for Petroleum and GMD of NNPC until he was relieved of the latter post by Mr. Buhari on June 4, 2016, same day that Mr. Baru was named as a replacement. Industry experts warn that the feud could have riveting consequences on Nigeria’s oil sector, which is the country’s lifeline. Bala Zaka, a petroleum engineer, said NNPC’s stock prices would have plunged significantly had it been a listed company. “If NNPC was listed on the stocks exchange, its stocks would have crash so much that it won’t be able to recover for many years,” Mr. Zaka said. Mr. Zaka said Mr. Kachikwu’s revelations indicate that the NNPC, which had been dogged by corruption since its creation in 1977, had not changed even under Mr. Buhari. “This further confirms that there has been no change in the NNPC since the days of Diezani [Alison-Madueke],” he said. Mrs. Alison-Madueke has been accused of various acts of corruption while she held sway as the Minister of Petroleum Resources between 2010 and 2015. Several properties linked to her has been forfeited to the federal government although she remains in the UK where she is also being investigated for money laundering. Another area Nigeria may suffer from the conflict between Messrs. Kachikwu and Baru is the sale of licences for marginal oil fields, Mr. Zaka said. Civic groups have also joined calls for immediate probe of the allegations raised by Mr. Kachikwu. Eze Onyekpere of Centre for Social Justice in Abuja said in a statement to PREMIUM TIMES on Wednesday that the allegations are weighty and must not be swept under the carpet. The Buhari administration already has two major corruption scandals that have not been clarified. The president has not acted on the report about the ownership of about $289 million that rocked the National Intelligence Agency in April and another claim that the suspended Secretary to the Government of the Federation, Babachir Lawal, was routing monies meant for the internally displaced persons into his personal bank accounts. Until now, Messrs. Kachikwu and Baru had largely concealed their feud from the media, although it was first hinted more than a year ago. In September 2016, the Daily Independent in Lagos reported a friction between Mr. Kachikwu and Mr. Baru, which centred on the administration’s Niger-Delta policy. Mr. Kachikwu did not play up the Niger-Delta crisis in his latest letter to Mr. Buhari, focusing instead on the consequences of disregard for extant regulations in the wake of disruptive technological advancements which could see fossil fuel become redundant in the years ahead. The latest spat is not the first time Mr. Kachikwu would spar with another top official over Niger-Delta since he was named minister in 2015. In June 2016, the minister disagreed with his counterpart at the Ministry of Transport, Rotimi Amaechi, over the completion of the Maritime University in Delta State. While Mr. Amaechi demanded probe of some funds that had been allocated for the project but which were allegedly squandered by the previous administration; Mr. Kachikwu said the probe could be done without abandoning the university site, which is situated in Gbaramatu Kingdom, Delta State. Mr. Kachikwu’s feud with Mr. Baru also further underscores a troubling pattern of internal wrangling in the Buhari administration.